Do you enjoy discovering hidden and secluded beaches and searching for hidden coves? 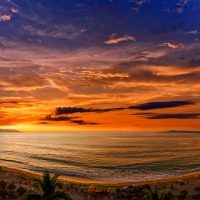 If you do, then Mother Nature has a gift for you as Puerto Vallarta’s South Shore Beaches. During your stay on Banderas Bay you can enjoy searching for the best beaches in Puerto Vallarta. Continue to read on to see how you can do go beach hopping on Puerto Vallarta’s South Shore beaches. Have you ever wanted to swim with or train dolphins? This is quite common; after all they are magnificent, friendly, and intelligent animals… you can make your dreams a reality when you visit Cabo San Lucas. Los Cabos has plenty of places in which you can get up close and personal with these mammals. 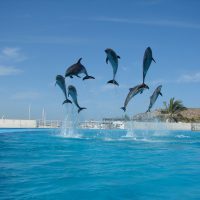 The companies which offer dolphin experiences in Los Cabos are reputable and offer a wide range of swim programs which cater to ever dream and desire as well as stimulating the dolphins. There is a relatively new adventure park in Cancun called Xenses, where you can get in touch with your senses like you have never experienced before. 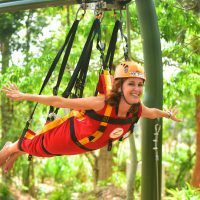 A fabulous adventure park in Cancun, Xenses is the best place for those looking for an amazing excursion while on vacation in the area. You will be taking part in different activities that are specially designed to wake your senses up and your perceptions will be challenged. 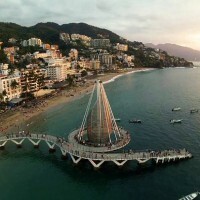 If you enjoy the idea of a carefree and bohemian lifestyle, but still enjoy the finer things in life then Puerto Vallarta’s Marina Vallarta is the perfect place for you to visit on your next vacation! This sophisticated area of Puerto Vallarta maintains a relaxed and casual vibe while still offering upscale services and shopping opportunities; fine-dining restaurants, luxury boutiques, high-end shopping malls, and stunningly beautiful real estate can all be found here.